As you may remember, early Lumia 900 adopters were eligible for a $100 credit after software issues were found on the phone, whether their unit was affected or not. While the fix was already released, some of you may be wondering where your money is. 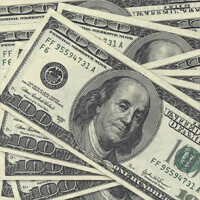 Reports around the web have been coming in today that people are beginning to receive their rebate money. Nokia addressed the software issue very quickly, so it is great to see them also make good on their rebate promise in a timely manner as well. What’s really amazing is a lot of people picked up this device for under $100, so in the end, they essentially got paid to get the Lumia 900. If you haven’t received your credit yet, hold tight, it should be on its way. There are a lot of people who received it today, so it looks like Nokia is trying to resolve this whole things a swiftly as possible. I've never seen a stupid person like you who prefers expensive and crappy phones. Dude,tell your math teacher to stop trying to teach you english. Pure stupidity oozes out of your comment. Stupid people around here. Dropped high school, working at McDonald's and still can't type properly. Geezzzz your such a dumb A$$. I work in IT, love the fluidity of the UI, great selection of office and business productivity app's. By NO means is this a cheap phone (in quality). Android nerds are jealous because you know Microsoft pamper their Windows Phone users too much. $100 return, chance to drive a ferrari, first time free windows phone, windows phone + free xbox deal, and so many i forgot.